With so many places to debut your videos, getting the correct aspect ratio has become critical to your project’s success. But it can be tricky to understand. Today we’re going to provide an aspect ratio definition, along with the different formats you can use to promote your work. The aspect ratio of an image describes the relationship between width and height. It's usually written as two numbers separated by a colon, as in 16:9. It can also be written with an “x” between the numbers. Example 1: Netflix’s aspect ratio is 16x9. Example 2: Facebook supports 16x9, 9x16, 4:5, 2:3, and 1:1. Your aspect ratio changes depending on where you put your content. Have you ever tried to load a video onto Instagram and had the best parts cut off? Or are you old enough to remember what it was like watching movies on box TVs? It helps you literally frame your message for every viewer. A better framed message will result in a better connection with your audience. Learn your film aspect ratio. When do I use an aspect ratio calculator? When you’re editing or resizing images, it’s essential to have an aspect ratio calculator. Especially if you’re going from widescreen to full-screen aspect ratio. These calculators use an algorithm to make edits precise and help you to crop or expand images. When you get the correct formula, your resized image will not appear squashed or stretched. That will make your content look professional and polished. When you set out to make a film, you need to think about how each image looks on the screen. To help plan, you should make storyboards. A storyboard allows you to actually take the images from your imagination and put them into real life. That way you can work with your DP to transfer those images into a shot list. Learn how to storyboard in the correct aspect ratio. When using a storyboard, make sure all the things you shoot match the same ratio. You don’t want to be on set and shoot 16x9 and then later edit to 4x3. 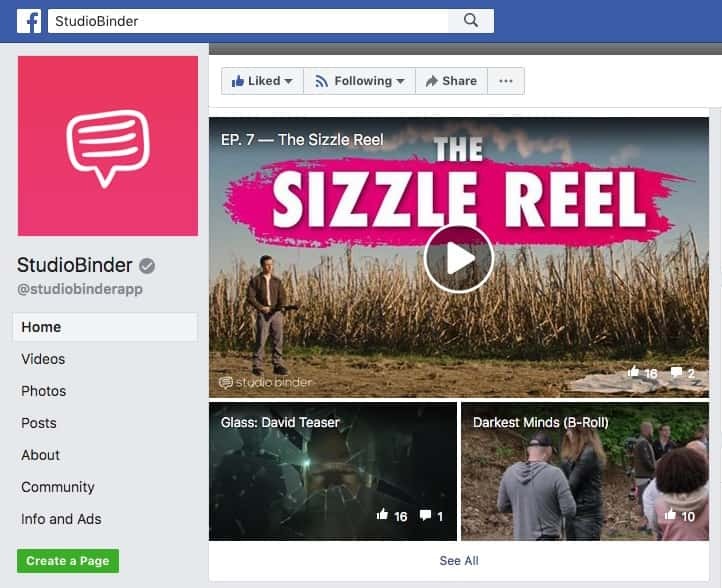 Gain more accurate insight into the shoot you're planning by using StudioBinder to choose from an extensive list of aspect ratios tailored to your needs. 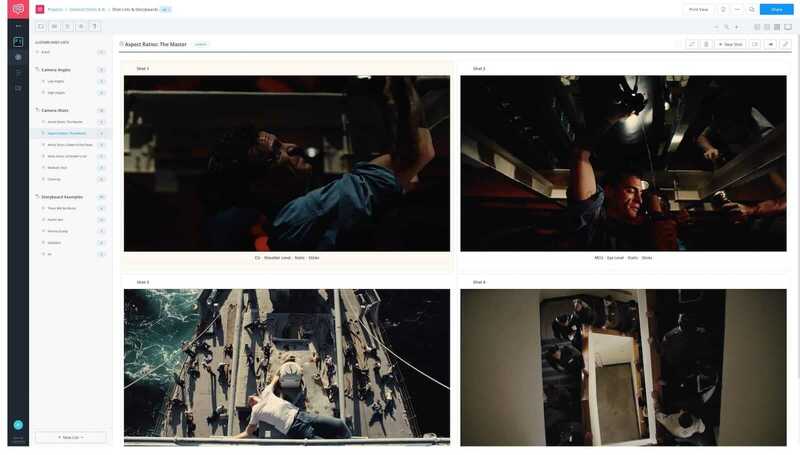 Explore different aspect ratios in advance by using storyboard and shot list software. See what a difference the aspect ratio makes? 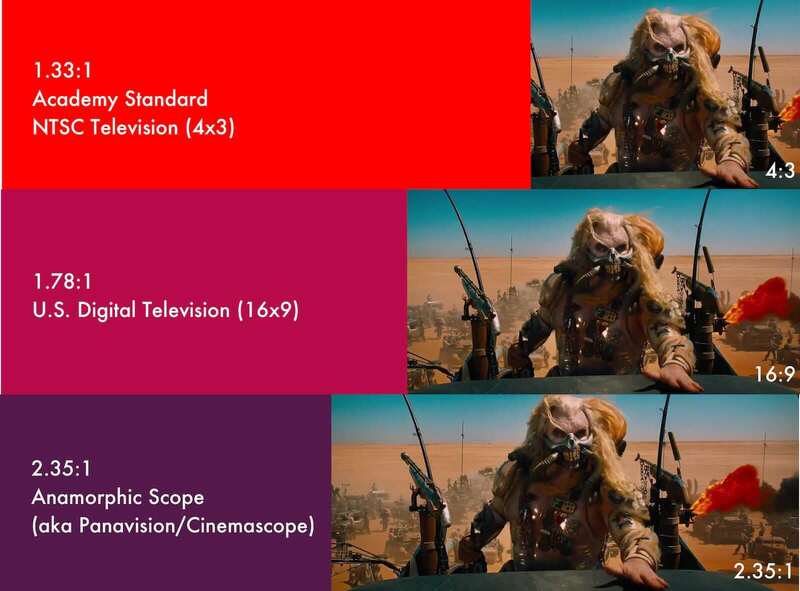 A wide 2:39.1 aspect ratio paints a different picture than 1:85.1 or a square 1:1. Figuring out the right look for your project in advance goes a long way towards realizing your vision. What are some modern picture ratios? Nowadays, there are some common aspect ratios everyone should know. The most common film ratios used today in movie theaters are 1.85:1 and 2.39:1 as well as 16x9. Movie aspect ratio is important. If you’re watching online or on a TV, they can be 4:3 (or 4x3) (1.33:1) and 16:9 (1.77:1). We’ll break these down further a little lower in the post. Let's dive into the history first. Back in the days when film was projected, 4x3 was king. It was the standard size of the film strip, and everyone used it until the 1950’s. It’s easy to determine image aspect ratio. 4x3 is known as “Full Screen.” It became the standard because it was the easiest to use because it mirrored the film stock. Television companies fell in line and created TV monitors that mirrored this display. As computers rose to prominence, their screens also favored 4:3. After widescreen televisions evolved, many TV productions had to get their aspect ratio calculators out to edit their shows with the new requirements. When you watch this scene the wide shots are used to bring you into Schindler’s mind. We’re constantly bouncing back and forth between a close up on his face and a wide shot where we follow the travesty and the little girl. This image aspect ratio was changed later for the show’s re-release. As time went on, technology got better. That brought larger theaters and the capability of bigger projections. Still, when larger movies were shown on television, they were shrunk down. This could sometimes change the director’s vision, and even the scope of the movie. Movie aspect ratios change depending on where you watch. The widescreen aspect ratio craze started in the late 1940’s and continues today. 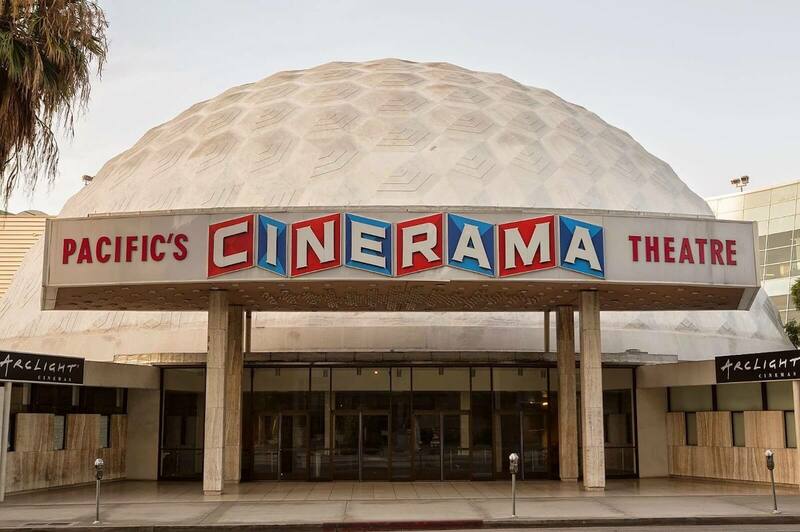 Cinerama took over the big screen in the 1950s. It was the most significant format anyone had ever seen, 2.59:1. Executives needed to make money, so they wanted to get people into the theaters. Bigger was better. And they were even able to open theaters to specifically show things in Cinerama. Along with Cinerama, a projection called CinemaScope rose to prominence (and is still used today). CinemaScope films are shown in 2.35:1. That’s pretty wide. It makes going to the movies feel like an event. Theaters and studios were in such competition in the 1960’s they wanted to outdo one another. That’s when 70mm film allowed studios to show things in 2.76:1. This became a calling card for the biggest movies. It helped attract fans and awards. What film stock do you need for your image aspect ratio? The original Ben Hur was shown in 70mm, and it became an event for people to see on the big screen. Ben-Hur felt as big as ancient Rome. The scope of the film was unparalleled at the time. Ben-Hur, the way it was meant to be seen. The mission to get people into the theater is so critical that there’s been a rise in 70mm film and also IMAX in today's cinemas. These can be gimmicks, but the best filmmakers use larger formats to make their stories pop off the screen. Dunkirk, The Master, and Hateful Eight have all utilized large format as part of their marketing campaign. They made seeing them in theaters an event. People are staying home more and more. It’s hard to even get them in the theaters even with IMAX and 3D. Televisions got significantly better in the 1990s and 2000s. Widescreen TVs changed aspect ratio at home. The 16x9 aspect ratio is also known as 1920x1080. 16:9 didn’t become the standard for televisions and computer monitors until 2010. A man named Dr. Kerns Powers came up with the ratio as a compromise to traditional broadcasting in the 1980s. Netflix prefers the 16x9 aspect ratio. Today, 16:9 is the preferred aspect ratio of Netflix. 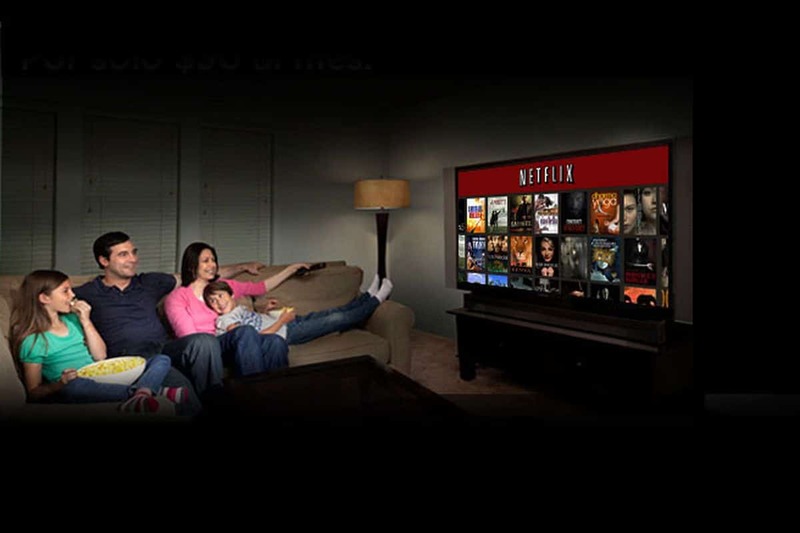 Netflix counts on people watching on their laptops and flatscreen TVs. If they’re watching a movie or show filmed in a different aspect ratio, Netflix will sometimes edit the program to fit better. There’s some controversy about it, so Netflix released a statement. Makes sure your home can handle the aspect ratios. Cinema has struggled to keep up with the rise in home theaters. As Netflix, Amazon and Hulu work to create more content, they’re also working to fix their aspect ratio problem so you can view anything you want at home without cropping. That’s great news for creators, who can now switch the ratio without feeling an obligation to the platform where it debuts. What are some creatives uses? Technology now allows a director to pick whatever aspect ratio they want for their art. You might be hampered by where the movie is showcased, but you can now this to your advantage. Take how Sean Baker used the iPhone to create an intimate portrait of the trans community in Tangerine. He understood that seeing the world through a lens and aspect ratio of an iPhone would paint an intimate picture. This is a stunning work of aspect ratio art. Or what about Christopher Nolan’s choice to use IMAX cameras to make parts of Interstellar look like we were in the vast expanse of space? It felt big and scary. We were steeped in the unknown. No one likes a large-format aspect ratio more than Nolan. Recently, Paul Schrader used a 1.33 aspect ratio for his movie, First Reformed. It created a tinderbox of emotions and tension as the story progressed. We felt boxed in, like a caged animal ready to attack. That reflected the character’s story arc. But what if you’re not shooting for the big screen? Paul Schrader knows how to work his aspect ratio. What should you use for the web? Most companies are producing videos for all kinds of content. They’re perfect for ads, tutorials, and to solidify your brand. So what's the best option for the most popular website? Everyone wants to put videos on YouTube but only a few people know how. Lucky for you, we make a lot of YouTube content. So we know they work best with things shot in 16x9. Social Media is key to any advertising or video posting. Instagram shoots photos and square format videos, but it supports four unique aspect ratios. This means you can be flexible with what you post. Facebook supports 16x9, 9x16, 4:5, 2:3, and 1:1. That can help when you want to get your message across. You can upload phone videos, movie trailers, and fluidly share videos from all other social channels. When you tweet videos, you have to keep in mind that people will be scrolling when they see them. Twitter crops videos to make them fit their timeline. You may need an aspect ratio calculator to help you do the math. "Any aspect ratio between 2:1 and 1:1 is acceptable. For example, 1200 X 600 (2:1), 1200 X 800 (3:2) or 1200 X 1200 (1:1). So, you’re ready to make a new video project? Now that you’ve got the aspect ratio squared away, it’s time to plan your shots. We have some opinions on whose software is best for that, but we’ll let you decide. We have a free storyboard template to help you plan your next masterpiece.